How often have we heard it? Cities will never come back until they improve the schools. This should not be taken lightly. After housing, educational facilities are the linchpins of the urban renaissance. The approach taken with the revitalization of the school systems (structurally as well as physically) will have a direct effect on the shape of the new urban neighborhood. The civic building has lost prominence in the modern era. Due to economics and a lack of faith in government our public leaders have been stripped of their ability to create proper buildings for civic life. 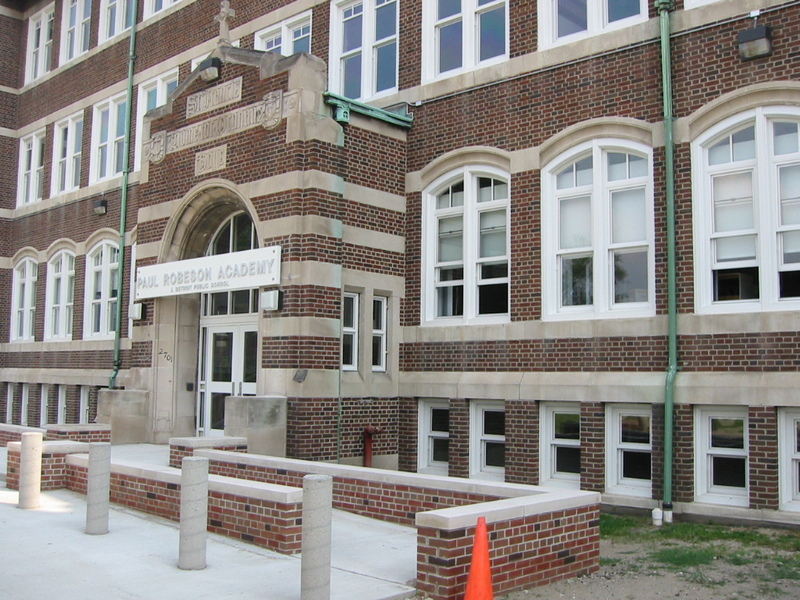 The urban school over the last 40 years has been one of the most neglected civic buildings. The urban school must go beyond its traditional concept and even concepts put forth in the 1980s of community center to embrace a concept for the 21st century as a “campus for the communal life of the neighborhood”. In taking on this role the urban school can be conceived of in two ways that aid in the re-establishment of the post-industrial city. These concepts are the urban generator or the urban facilitator. Each has its appropriate situation for use. and a host of other daily community activities. The charter school movement has created some interesting examples. Some charter schools are moving into schools left abandoned (typically due to demographic shifts) by private and public sector and are in many cases excelling at educating students in a way that is both revolutionary and satisfying to parent’s as can be evidenced by bulging waiting list. At the same time, many pubic school districts are leaning towards developing new buildings to achieve their goal of education in the 21st century. Which approach will yield the best results? Only time will tell. When the school is used as urban facilitator it is seen as a compliment to an emerging residential district. As such the demands on the facility functionally are less. This allows the school to concentrate on its primary mission, education. Whether these are reused existing buildings or new prototypes is another consideration. Protoypes are another controversial issue in school reform and an important one for revitalization efforts. Prototypes are much maligned for being a “McDonald’s” approach to schools. But, truly, how far is it from prototype to archetype? Isn’t the often produced double loaded corridor of the pre WWI school a distinct and oft-repeated type? If so, isn’t there hope that “prototypes can be remade in their communities own images without much change? That is the physical challenge for schools. That, though, is only the start.